Oh, those ears–the way they flit back and forth! And that swishing tail! 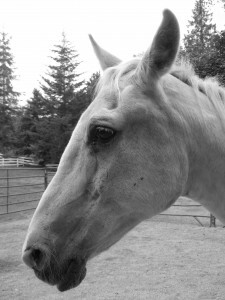 A horse can speak volumes using body language. But what exactly does all that mean? And how important is it that we know? 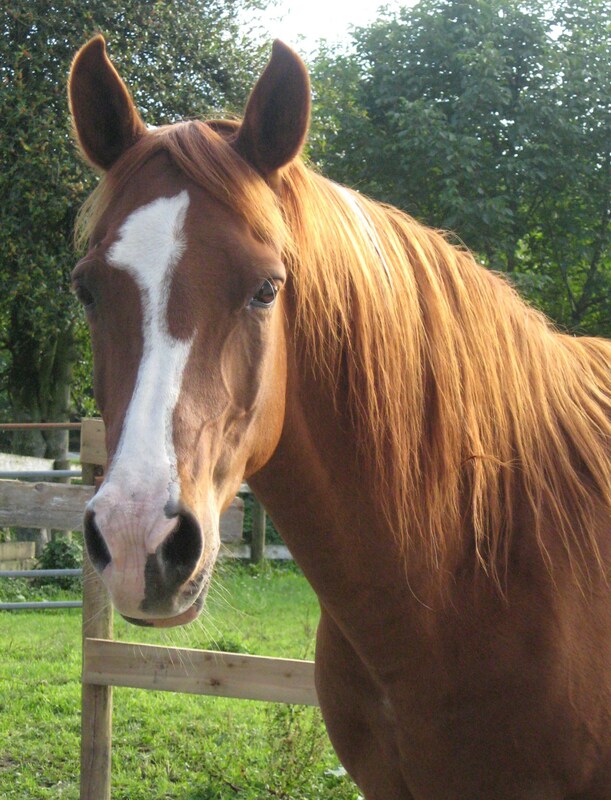 The first thing you’re likely to notice about a horse’s expression is the position or movement of its ears. Regardless of their shape or size, they are almost always in motion and work independently, functioning much like equine radar. Ears positioned forward generally indicate that the horse is relaxed, but if sharply pricked forward, take note! Your horse is alert and tuning into something that’s either interesting or frightening. As most horse owners know, there’s a difference between ears that are positioned towards the rear and those that are sharply pinned backwards. 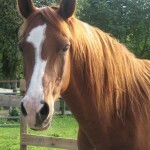 In the former case, the horse is likely either relaxed or listening to something behind him. In the latter case, it’s a sign of aggression that could be followed by a lunge, bite or kick. Watch out! At the opposite end of a horse’s body is another communication tool that is sometimes overlooked. Yes, equines use their tails to brush away pesky flies, but did you know that these handy body parts transmit language, too? 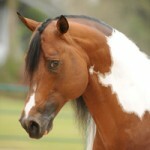 Mind you, a horse’s natural tail carriage may vary by breed–the classic example being the high-tailed Arabian. 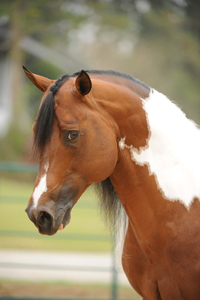 However, there are some tail signals that are common to all breeds, and which a horse owner would be wise to heed. For example, have you ever heard the expression “tail clamped between the legs”? If a horse has its tail pressed tightly against his buttocks, chances are it is nervous or fearful. By contrast, a tail that is carried unusually high usually indicates a hyper-alert state. Anyone who’s ever ridden a horse that is reluctant to work has probably witnessed the trademark “wringing” or fierce swishing of the tail, a sign of irritation or frustration. That is not to be confused, however, with the gentle, rhythmic swishing that sometimes accompanies a change in balance, like a lead change, for example.